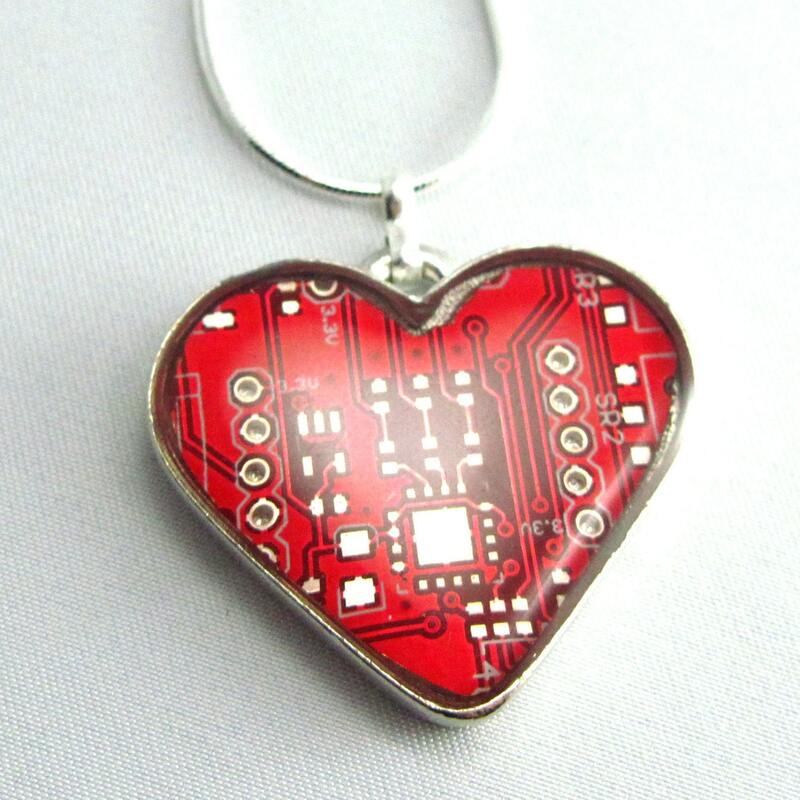 Clockwise: Square Circuit Board Cufflinks in Blue, Jessie and Megan of Techcycled, Blue Square Circuit Board Necklace, Red Circuit Board Heart Necklace, Circuit Board Ring in green. 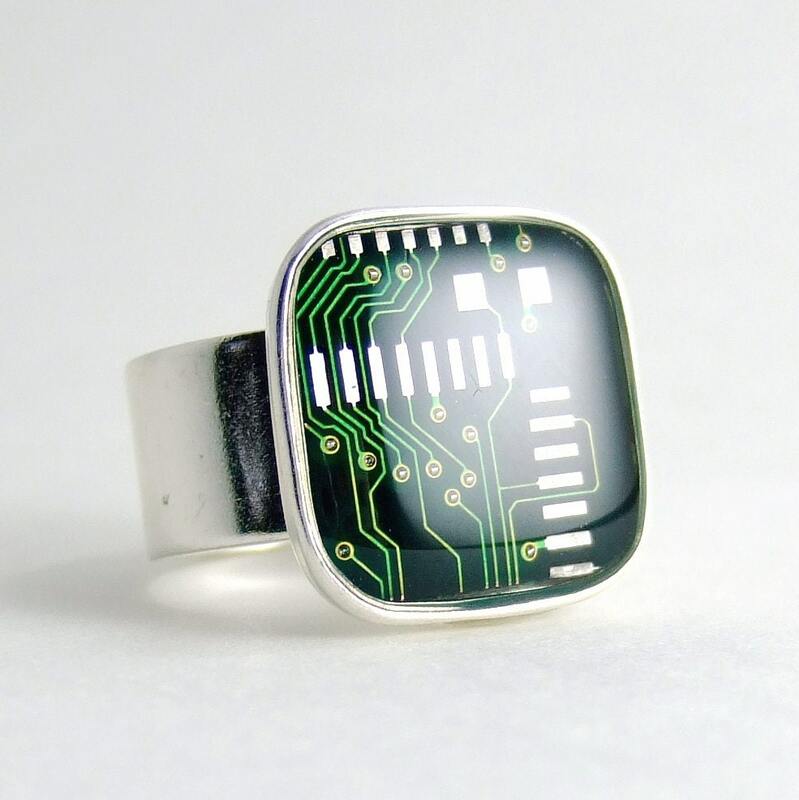 Techcycled is a collective of women engineers who also make jewelry out of circuit boards. 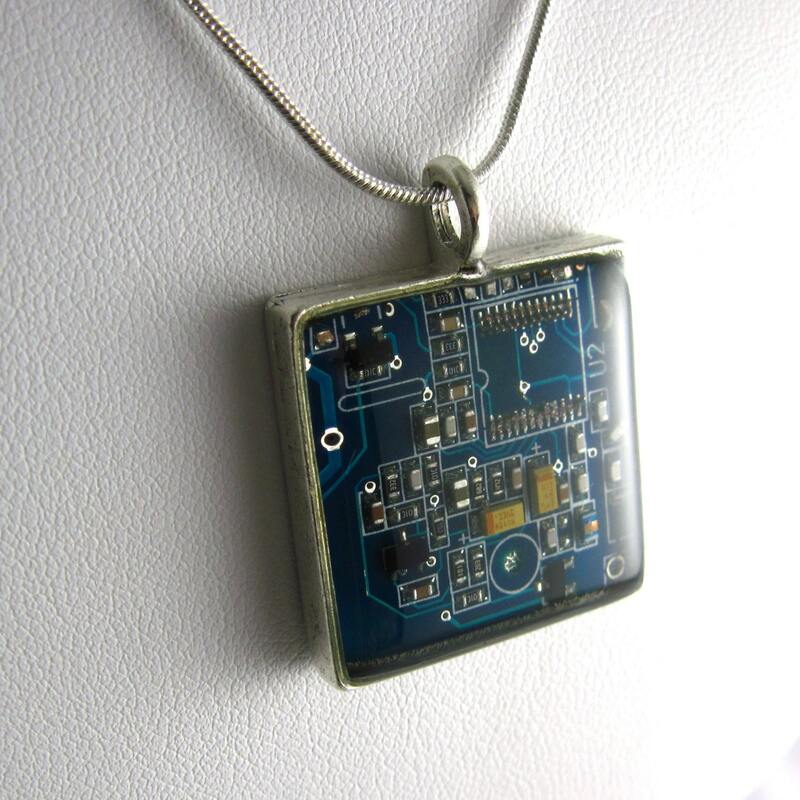 All of their pieces are packaged in jewelry boxes and come with a information card on their history. Pieces are $30-$55. 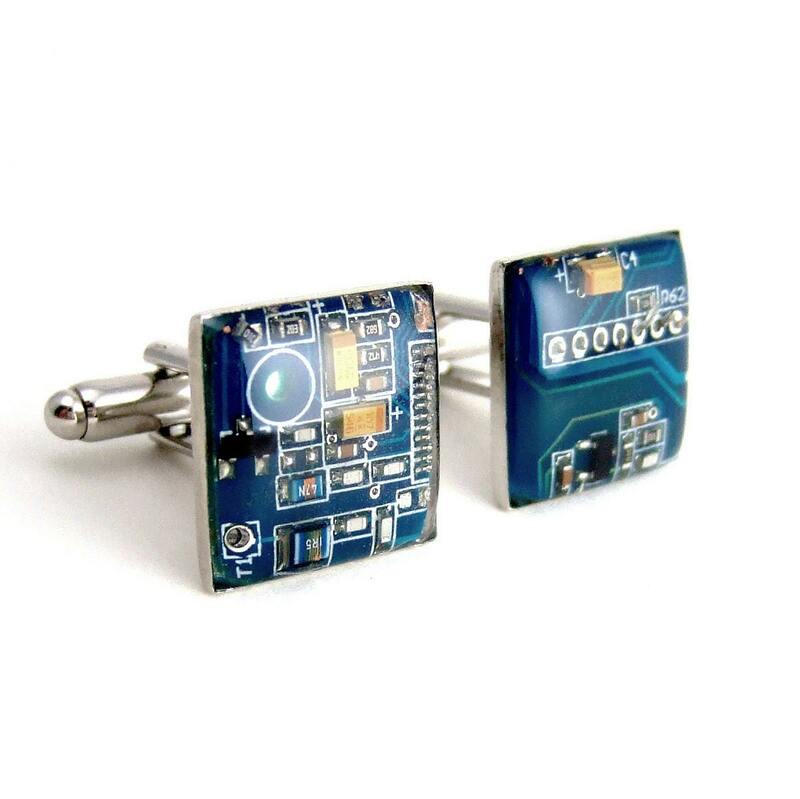 Available at Fractalspin.